In a few short days we will be sailing on the new Norwegian Escape cruise ship. This newest cruise ship from Norwegian Cruise Line offers some of the brand’s signature amenities, dining, and freestyle approach combined with brand new shows and venues designed exclusively for this new class of cruise ship. Now the largest vessel in the fleet, the Norwegian Escape cruise ship is truly in a class all its own. 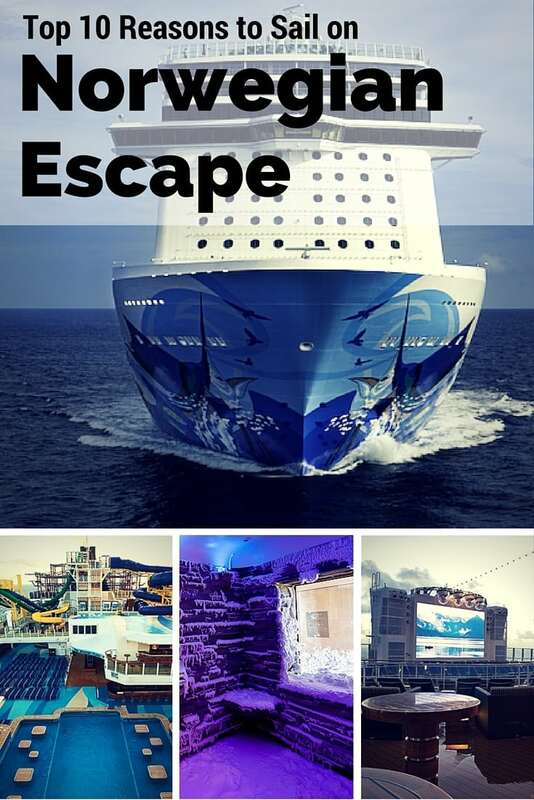 As we get packing for this long awaited cruise, here are the top 10 reasons why any traveler should sail on the Norwegian Escape. 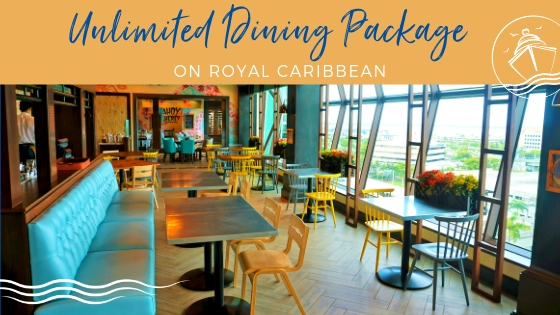 To complete your vacation experience on the Norwegian Escape cruise ship, you should consider purchasing specialty dining packages and/or drink packages, both available to purchase before you sail or while onboard. 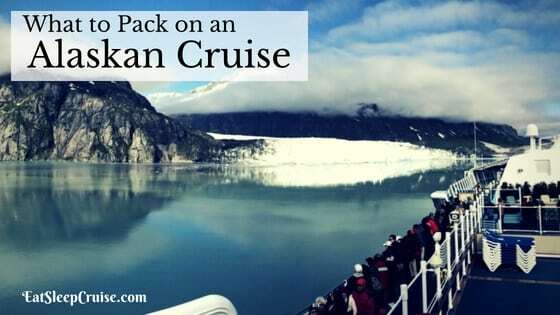 We received a free Ultimate Drink Package as part of our booking, meaning we can consume unlimited amounts of soda, beer, wine, and cocktails up to $15 a glass every day of our cruise. 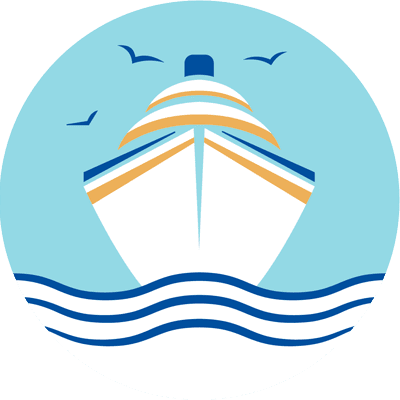 There is also the option of getting the Caps and Corks plan, for $49 (plus the service charge), which covers unlimited amounts of select beers, wines, and soda during your cruise. Unfortunately, bottled water and/or specialty coffees are not included in any of the drink packages offered. 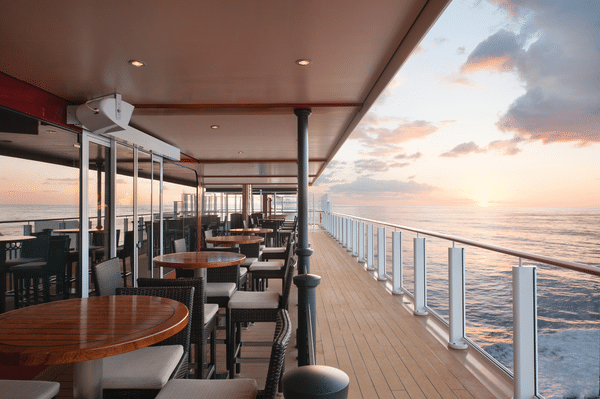 For those who plan on dining at some of the specialty restaurants on this new Norwegian Escape cruise ship, purchasing a specialty dining plan might save you money. 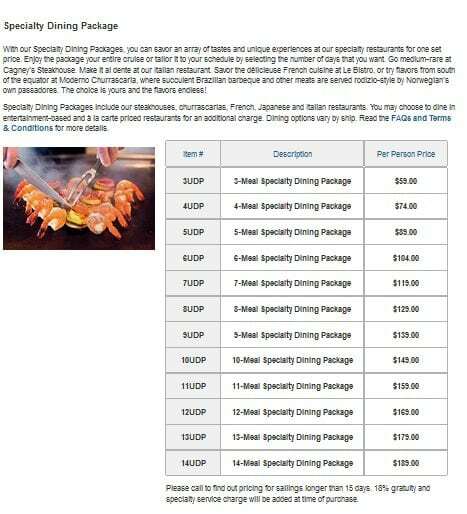 By purchasing the plan, your meals at select specialty restaurants are included versus paying the otherwise a la carte pricing. You can also receive discounted rates for The Supper Club and pay only a small additional surcharge to dine at new restaurants like Bayamo. 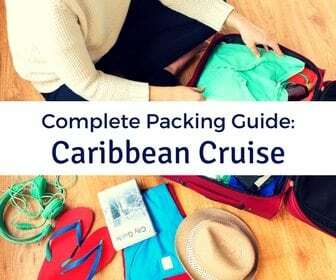 Recently, Norwegian Cruise Line has been offering various promotions in which you can receive one of these packages, or both, for free depending on the type of cabin you book. Admittedly, the Princess and I were tempted to try this ship because of a promotion being run by NCL that included a free drink package as well as some onboard credit. 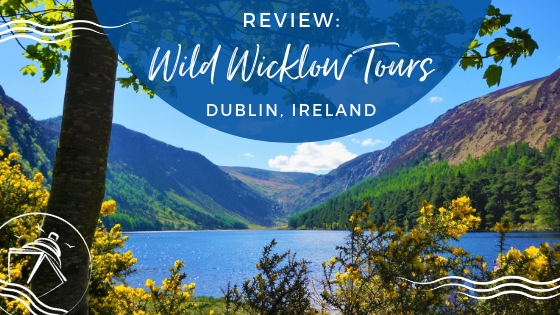 By combining that offer with additional OBC being provided by a preferred travel agent, sailing on this brand new ship became an extremely affordable cruise vacation. On Norwegian Escape there is no main dining room and no set dining times. You can eat wherever you want, whenever you want during your cruise. This freestyle approach will allow you to sample the over two dozen dining options offered. Among these dining options are the line’s signature specialty restaurants including the steak house Cagney’s. 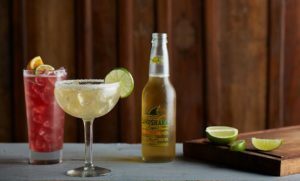 But, new to this cruise ship are Bayamo, by celebrity chef Jose Garces, and the first Jimmy Buffet’s Margaritaville at Sea. Other notable eateries include tapas at the Food Republic, a fusion restaurant from the hottest team of chefs from South Beach. 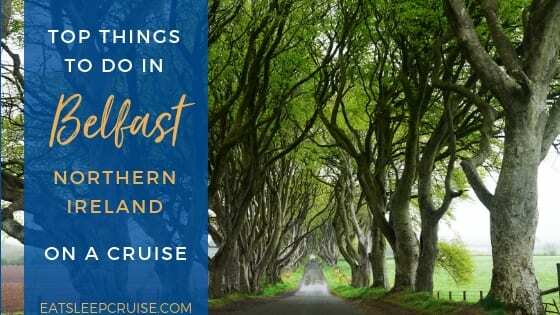 It has been several years since we last sailed with NCL, so we plan on trying out a bunch of these specialty restaurants, along with some of the complimentary venues as well. 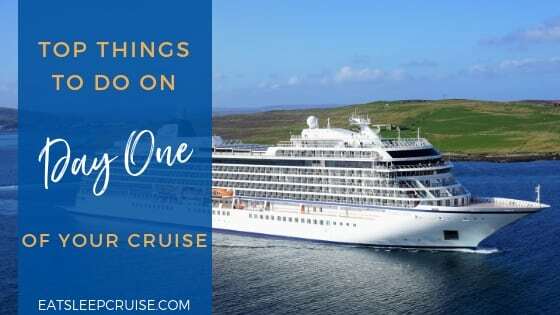 Most specialty restaurants are priced a la carte on this ship, unlike other NCL ships, so we opted for the 6 night plan as we plan to eat at the trendy, and complimentary, Manhattan Room one night of the cruise. After eating all of those delicious, multi-course meals, of course you are going to get thirsty. Luckily, the Norwegian Escape cruise ship has a plethora of places to unwind and grab a drink (or two) while onboard. From the laid back 5 O’ Clock Somewhere Bar to the live music venue the District Brew House, which features over 24 beers on tap, there is surely a watering hole that suits your taste. 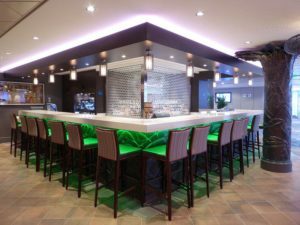 For wine lovers, there is the Wine Cellar, and other Norwegian Escape exclusives like the Tobacco Road and the Sugar Cane Mojito bars. 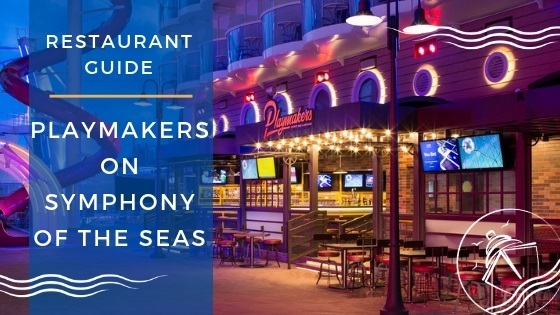 Many of these bars and lounges have signature drink menus; a few are even located on the Waterfront which means you can enjoy your cocktail with ocean views! 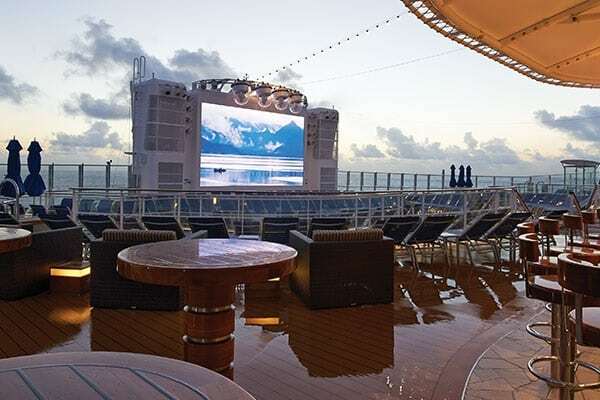 A trend has emerged with cruise lines offering more opportunities to reconnect with the ocean, and Norwegian Escape cruise ship‘s Waterfront is prime real estate. 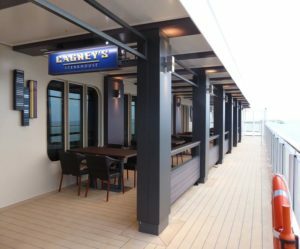 Located on Deck 8, this open air promenade is lined with bars, restaurants, and even an ice cream shop to make you feel like you are walking up and down a seaside boardwalk. You can dine al fresco at several popular venues or grab a drink and watch the sunset. For those who are looking for some rejuvenation during your cruise, the new Spa on Norwegian Escape delivers with innovative features and firsts at sea. Several options are available for you to spend a day in deep relaxation, including therapy pools, whirlpools, saunas, and steam rooms. Or, you can enjoy the comforts of heated chaise lounge chairs as you gaze upon ocean views in peace and tranquility. Among the unique features in the Spa is the Salt Room, which mimics the natural salt caves found in Eastern Europe. Time spent in this room promotes skin and respiratory health, along with overall well-being. While many of the spa’s features will leave you warm and cozy, there is one spa treatment that is down right frigid. The ship’s Snow Cave, kept at a cold 14 degrees Fahrenheit complete with falling snow, will promote blood circulation as you cool off from those long days spent in the Caribbean. Along with the array of bars and lounges, there is also plenty of entertainment to keep you occupied during your nights on the Norwegian Escape cruise ship. 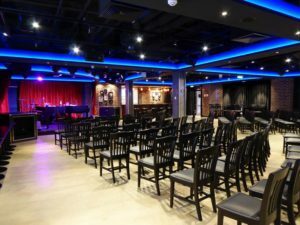 If you like to laugh, the Headliner’s Comedy Club on deck 6 features comedians from all over the world presented by the Levity Entertainment group. For most sailings, two different comedians will rotate showtimes giving you the opportunity to catch both acts regardless of your dinner time. The Comedy Club also doubles as a dueling piano bar called Howl at the Moon, an NCL favorite on other ships. More music is available at several venues throughout the ship, which each sailing also featuring both a 1980s dance party and a glow party. You can also opt to purchase tickets for the Supper Club, to enjoy dinner and a show. Currently, For the Record: The Brat Pack is the featured entertainment with songs and themes from popular 80s movies. While you could spend most of your days relaxing in a deck chair or taking a dip in the pool, the Norwegian Escape cruise ship also offers plenty of options to get your heart pumping. A complete fitness center and jogging track are available for those fitness minded travelers, as well as several for-fee fitness offerings. For thriller seekers, the ropes course, complete with a zip line, might be a better way to work up a sweat. As you maneuver through the course, you must be daring enough to walk “the plank”- an eight foot long beam that extends over the side of the ship. For those wanting to get wet and wild, the Aqua Park on the Norwegian Escape cruise ship features a variety of water slides, including the fastest slides at sea- the Free Fall. You can also speed down the Aqua Racer or play it more conservative on the family slide. Much more fun can be had on the sports deck which offers a variety of other sport options, including mini-golf. 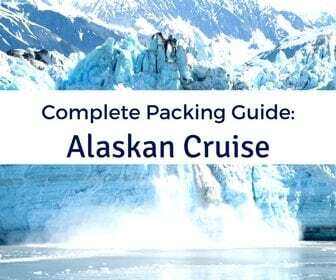 The Norwegian Escape cruise ship offers a variety of accommodations. 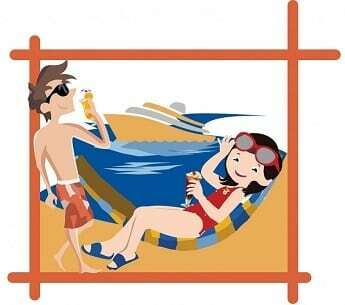 For solo travelers, this mega ship offers studio cabins where you will not need to pay a single cruiser supplement. 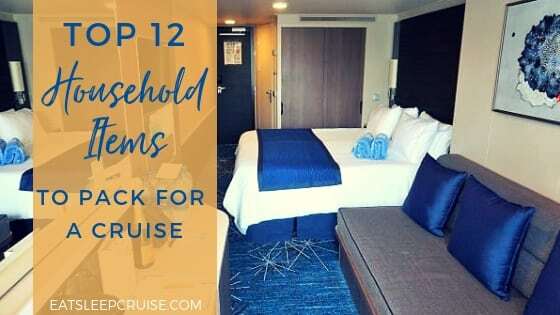 Of course, cruisers can select from regular inside, ocean-view, and balcony rooms located throughout the ship on multiple decks. 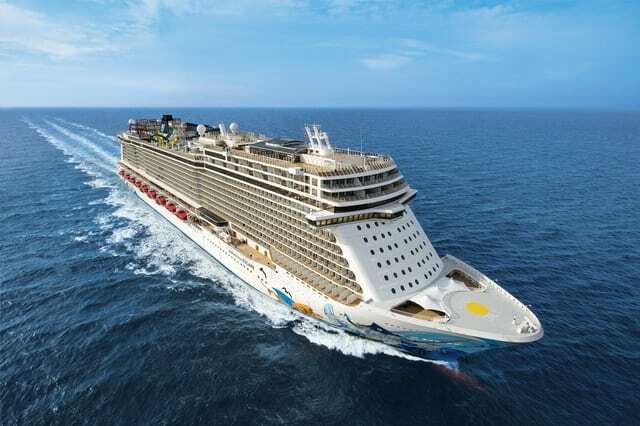 Also, for those who want to be pampered during the cruise, Norwegian Escape includes a number of Spa Rooms, with enhanced decor and special furnishings, as well as included access to the Thermal Suites during the day. For those high rollers, the cruise line’s signature Haven ( “ship within a ship”) area located on decks 17 and 18 provides travelers with the most upscale cabins and private areas, which include a courtyard with a pool, a private lounge, and even a restaurant reserved exclusively for guests staying in this area of the ship. Not to be outdone, Norwegian Escape offers 2 Broadway shows during your cruise. 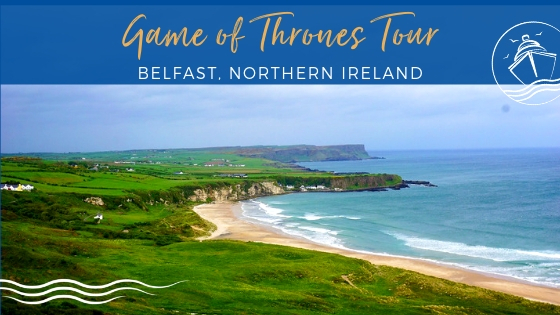 Both shows can be booked prior to cruising, and we highly recommend you reserve seats for each show. In the first show, After Midnight, cruisers travel back to 1920s Harlem, where the Cotton Club featured some of the most prolific Jazz acts of the time. This critically acclaimed musical features a full jazz ensemble on stage as well as choreography that earned the musical a Tony Award in 2014. This show is sure to get you up on your feet during your time on the Norwegian Escape cruise ship. During our seven night sailing, After Midnight was running on two nights of our cruise (Day 2 and Day 6) with two showings each night. 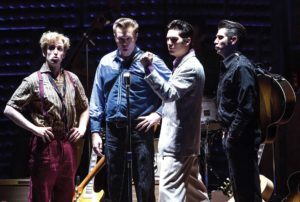 If jazz is not your thing, perhaps you will get your hands clapping for the sounds of the award winning Million Dollar Quartet. 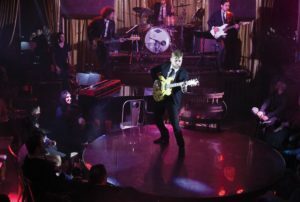 This dramatization of an actual jam session involving Elvis Presley, Jerry Lee Lewis, Johnny Cash, and Cal Perkins that occurred on December 4, 1956 brings these artists’ classic songs to life in a complete production show. During our cruise this show had four time slots on two days, Day 3 and Day 4, with an early and late show, similar to After Midnight. For the adults, Deck 17 is where you want to be both during the day and night. Spice H20 offers up an all day party atmosphere. Mirrored after the famed pool parties and night life of the Spanish island of Ibiza, this area of the ship is off limits to those under 18. During the day, the beach club atmosphere is complete with comfy sun chairs and a grotto water feature, where cruisers can cool off literally in a cave. Whirlpools are also available for you to relax and make some new friends as you prepare for what is sure to be an epic night. Once the sun sets, Spice H20 on Norwegian Escape becomes one big open air party. Complete with DJ, drinks, and plenty of hi tech lights and displays on the outdoor movie screen, you can let loose and party like it is New Years Eve, any night of the week. This venue is sure to be great no matter what time of day you visit! 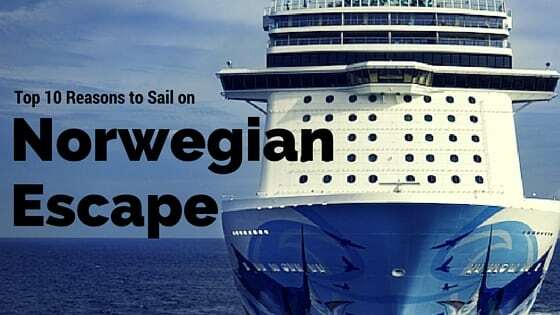 Are you planning to sail on the Norwegian Escape cruise ship? 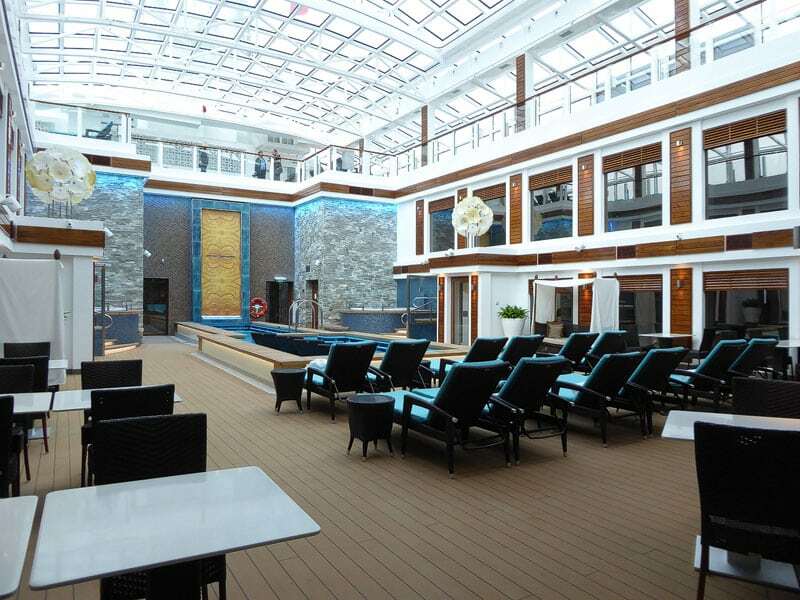 What are your reasons for cruising on this new ship? Drop us an anchor below to tell us about your experiences onboard this new and innovative vessel.